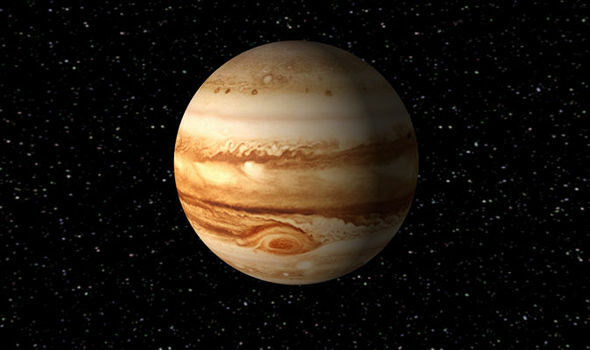 NASA boffins have taken the most detailed images of Jupiter’s Great Red Spot in stunning detail. 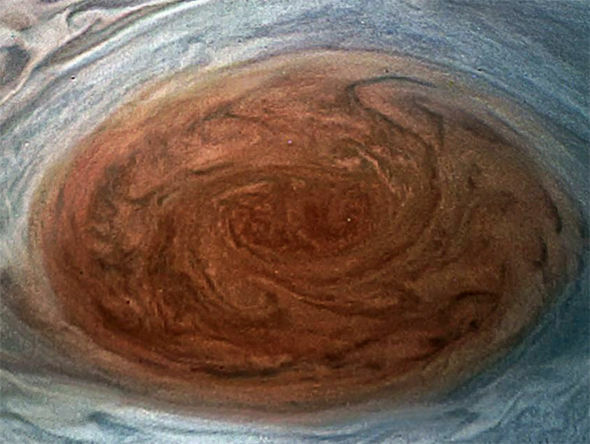 Since the discovery of the Great Red Spot 1665, astronomers have been desperate to learn more about the swirling vortex of the gas giant Jupiter.Now, thanks to the historic Juno probe, Nasa has taken the most detailed imaged of the Great Red Spot. The images were taken on Monday as Juno swung past the biggest planet in the solar system, just 5,600 miles above the surface. 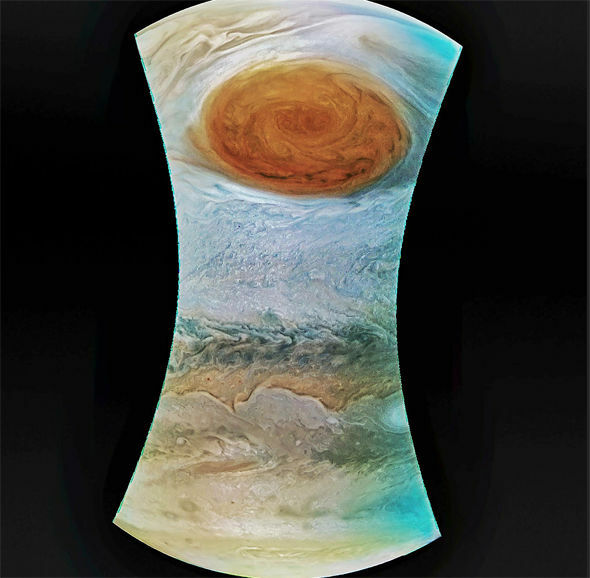 Scott Bolton, Juno principal investigator from the Southwest Research Institute in San Antonio, said: “For hundreds of years scientists have been observing, wondering and theorising about Jupiter’s Great Red Spot. The massive storm cloud heats part of Jupiter’s atmosphere to hundreds of degrees above what it is elsewhere on the planet.Around 500 miles above Jupiter’s visible cloud tops in the red spot – which is three times wider than Earth – the temperature was around 1500 degrees celsius. The red spot produces “acoustic waves” of energy that vibrate in the direction in which they are travelling, causing the atmosphere to heat tremendously.While it is unclear what has kept the storm going for the best part of four centuries, scientists believe that it is essentially re-powering itself thanks to the energy created from the heat.